Trendy and earth-friendly, bamboo is durable and harder than many types of wood. 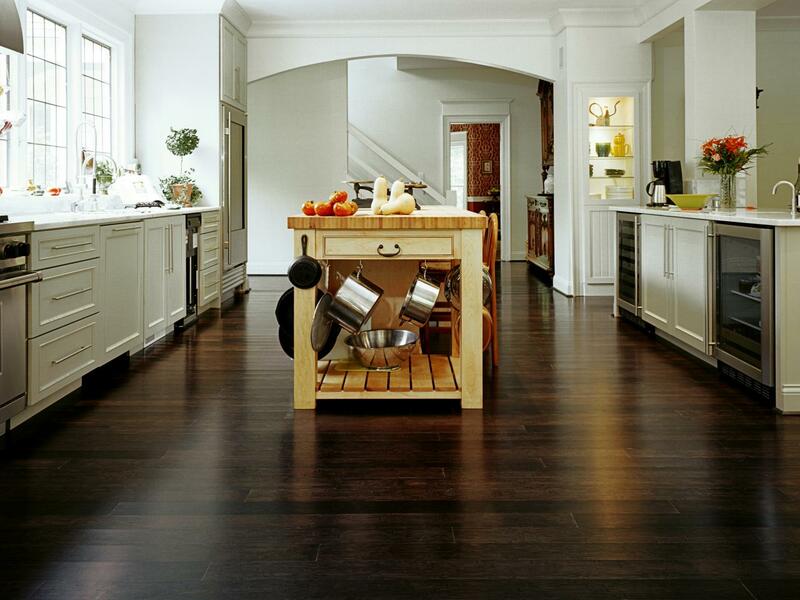 Rich, dark horizontal-grain bamboo floors lend drama and elegance in a kitchen. 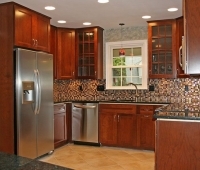 A hot trend for cutting-edge kitchens, bamboo floors blend style and durability. Though it’s technically a grass, bamboo is actually harder than many types of wood. 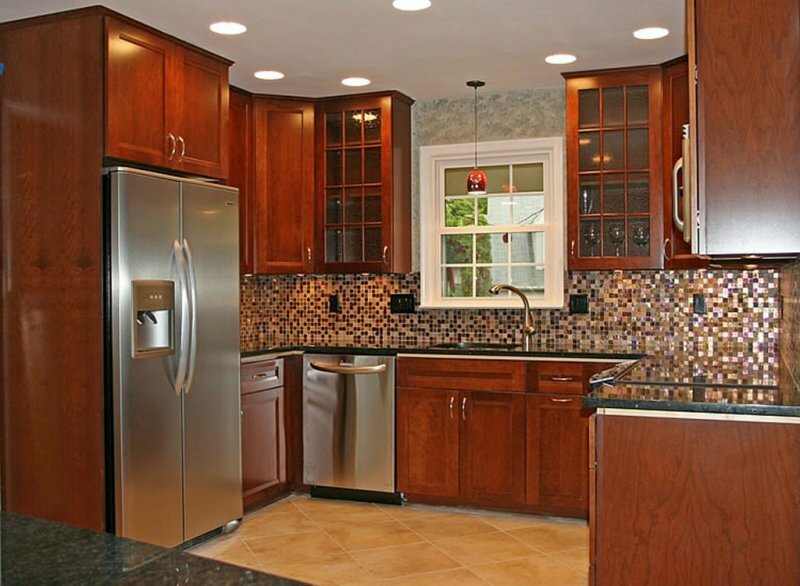 Bamboo comes in tiles or planks in a variety of sizes, colors, patterns, and textures. The eco-chic surface stands up well to water and traffic, and it’s quite comfortable to stand on. So you can cook comfortably. Like hardwood, it’s available in solid or engineered styles. The Lowdown: Bamboo is a rapidly growing, hardy grass that is harvested to produce flooring. Tough Enough? Bamboo floors are long lasting and durable, but they can scratch and dent. Keep pets’ nails clipped, and be careful when holding heavy items. How to Clean. Wipe up spills immediately. Sweep, dust, or vacuum regularly, and occasionally wipe the surface with a damp mop or cloth. Styles. Bamboo comes in a range of construction styles. • Horizontal construction features strips laid flat to showcases the grass stalk’s “knuckles” for a richly grained appearance. • Vertical construction features strips turned sideways for a clean, contemporary look. • Woven or stranded construction. bamboo, the hardest type available, is made from shredded strands of bamboo compressed with resin. This surface is exotic and beautiful. Colors. Bamboo comes in many colors, but these are the primary options. • Natural bamboo is blond. • Stained bamboo comes in a variety of colors; stains can be translucent or opaque. • Carbonized or caramelized bamboo is pressure-heated to brown the sugar compounds. This produces a warm color without using stains or dyes. Bamboo is a great choice for environmentally conscious homeowners. It’s made from a renewable resource. Unlike wood, bamboo is rapidly renewable and matures in around six years (rather than 60). Harvesting bamboo does not kill it: When shoots are cut, the roots are left intact so new shoots can grow. And some bamboo floors contain water-based, solvent-free, low-VOC finishes, which contribute to better air quality in the home. Consider cork for durability, comfort and renewability. A cork floor provides a comfortable cushion underfoot because it “gives” when compressed. Durable. It resists cracking and abrasions and is impermeable to gas and liquid. Cork flooring also bounces back, so indentations caused by furniture won’t be permanent. When properly maintained, cork flooring can last 40 years or more. Healthy. Cork is naturally resistant to mold, mildew and termites. It’s also anti-microbial. 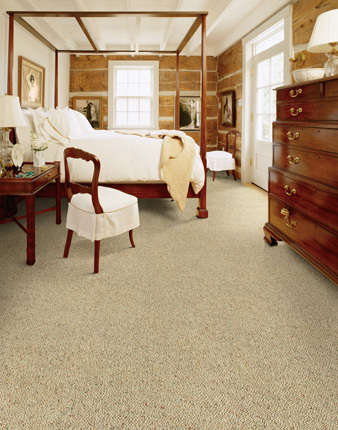 Cork flooring does not off-gas or shed microfibers to negatively affect indoor air quality. Safe. Fire-resistant, cork will melt or ignite only at very high temperatures. Before and during combustion, cork generates less smoke and releases far less toxic material than vinyl flooring. Comfortable. A cork floor provides a comfortable cushion underfoot because it “gives” when compressed. Cork is also a natural thermal and acoustic insulator, which means rooms with cork flooring are naturally warm and quiet. Aesthetically versatile. Cork flooring is available in tiles and planks in many styles, colors and sizes. Use planks to create an almost seamless-looking floor, or use tiles in single or alternating colors to create a nontraditional effect. Practical. Unlike vinyl, the pattern and color of the cork penetrate the thickness of the material, so they’re retained as it wears. 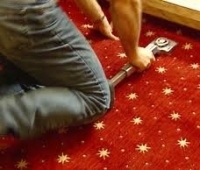 This lengthens the usable life of the flooring. As a building material, cork has little negative impact on the environment. The harvesting practices are sustainable, for one thing. A tree must be at least 25 years old before its bark can be harvested; after that, cork can be harvested every eight to 14 years without killing the tree. Cork trees can live up to 800 years, but the typical life span is 150 to 200 years. Another plus: The manufacturing process for cork flooring generates almost no waste. In fact, cork flooring is actually a byproduct of the manufacturing of cork stoppers for wine bottles. The residuals from the stopper production are collected and ground finely. Binders are then added to hold the ground cork together. Binders typically include urea melamine, phenol formaldehyde and natural proteins, which are relatively stable once processed. 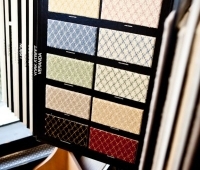 Pigment is added to create different colors and patterns, and a finish is applied. All this makes Marmoleum a natural floor covering, one that, after a long 30-plus year life cycle, can start all over again. 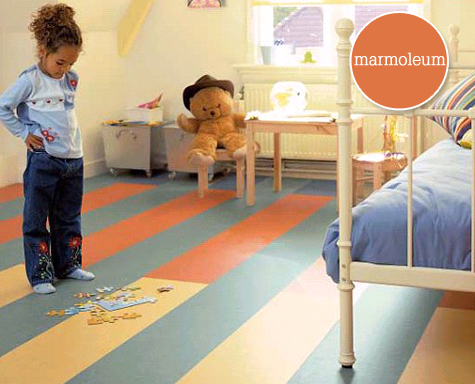 Marmoleum can be scrapped, since it’s biodegrade. Alternatively, controlled incineration of Marmoleum delivers a higher caloric value and creates thermal energy that outweighs the energy used during production. This demonstrates the full life cycle circle from which nature ultimately benefits. Premium Luxury Wool carpets have a natural, soft and luxurious feel. 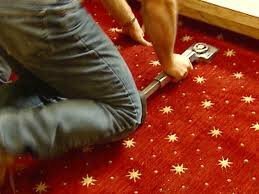 The long lasting beauty and superior characteristics of wool carpet will enhance your home for years to come. Natural Wool shorn from sheep is completely natural. It is composed entirely of amino acids, the building blocks of life. In soil, wool readily biodegrades to produce nitrogen, sulfur, carbon dioxide and water, which are all plant nutrients. Naturally Stain and Soil Resistant Wool carpets clean better, making stain protection unnecessary. The wool fiber’s structure consists of overlapping scales, arranged much like roof shingles. These scales inhibit dirt from adhering to the fiber and help fleck it away. Wool has significantly better soil release than any other fiber. Naturally Crush-Resistant The wool fiber is naturally curly, and it has more crush resistance than any other fiber. Wool carpet fibers recover from crushing better than any other carpet fibers. 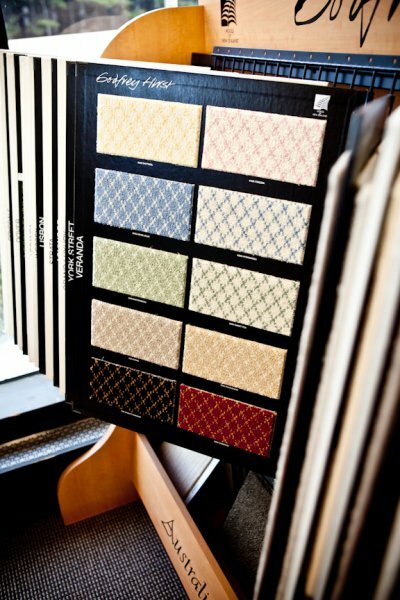 Insulator Wool carpet’s natural properties help keep your home cool in summer and warm in winter. Affordable Godfrey Hirst is one of the largest wool carpet manufacturers in the world, and provide an exceptional selection of value priced wool carpets. Sustainable Environmentally sound, wool is produced from a totally renewable resource – grass – that is shorn from Sheep every 9 – 12 months. Natural Flame Retardant Wool carpets are naturally flame retardant because of its high protein content. If ignited, wool only burns weakly, limiting the spread of the flame. Improves Air Quality Wool carpet naturally improves the indoor air quality of your home. It stabilizes relative humidity by absorbing or releasing moisture during periods of high or low atmospheric humidity. If well maintained, it absorbs and neutralizes airborne particles and fumes. 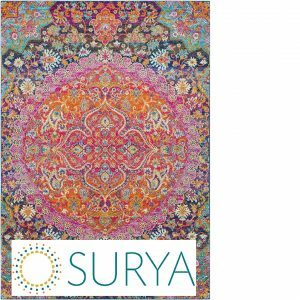 Proven Wool has been used in carpet for centuries. 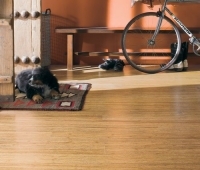 Its unique natural properties have seen it stand the test of time as the premier flooring fiber.